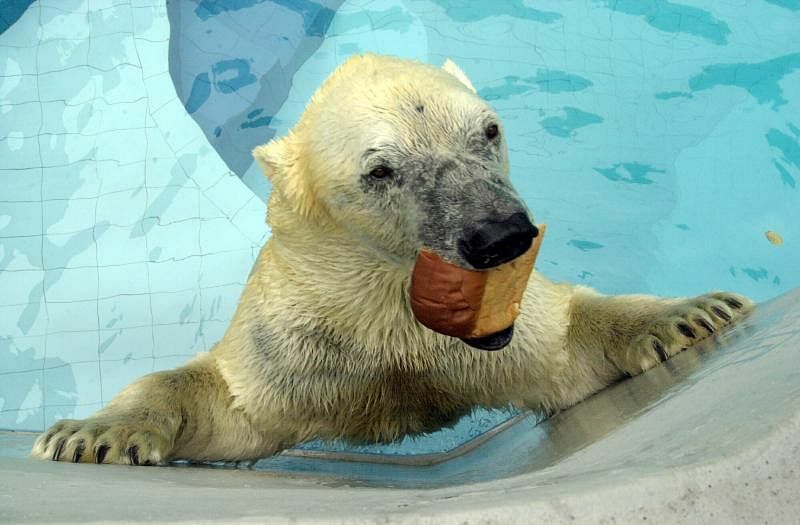 Singapore's beloved polar bear, Inuka, has been put down at the age of 27. 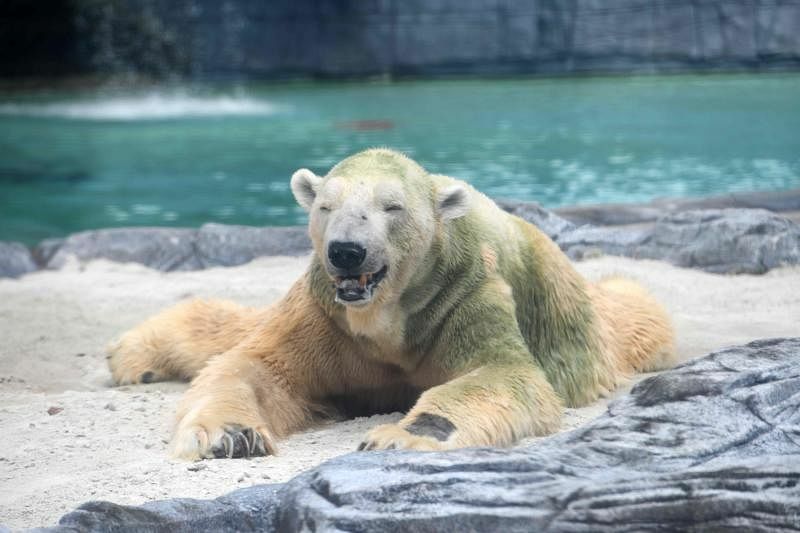 Affectionately nicknamed "the sunbear" for how much he loved lazing and basking in the sun, Inuka is the first and only polar bear born in the tropics, and has spent his entire life in Singapore. Born here on Boxing Day, 1990, he was called a Christmas present by keepers. And just like his fellow countrymen, he loves "ice-kachang" - in his case frozen blocks of ice containing tasty treats such as fish. Singaporeans young and old were saddened by the news of the 27-year-old's declining health. 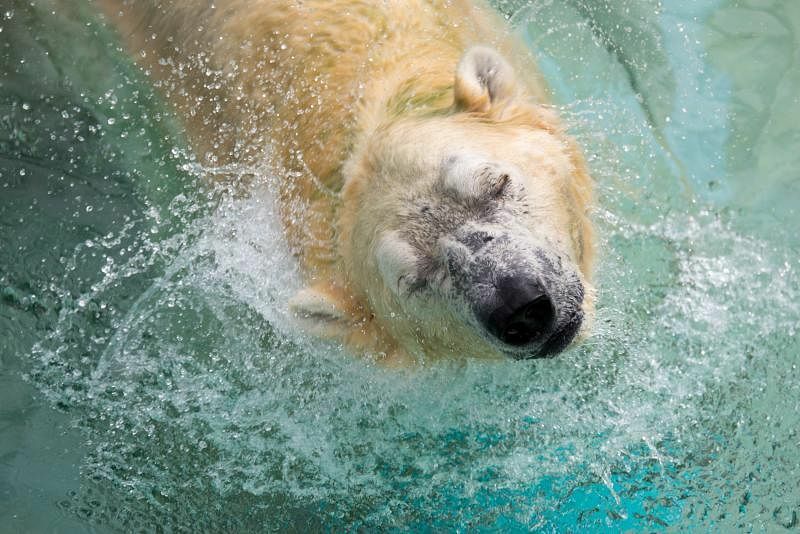 Let's take a walk down memory lane and remember Inuka's lifetime in the tropics. 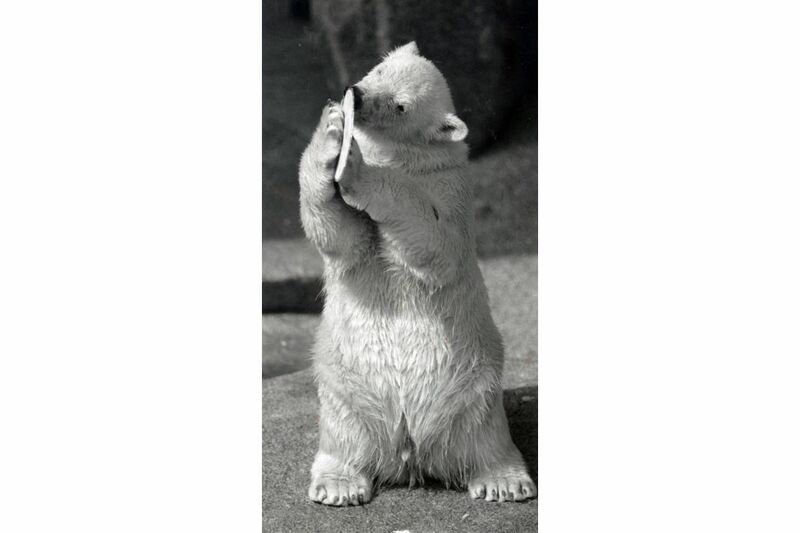 On December 26, 1990, Inuka became the first polar bear to be born in the tropics. Mother Sheba was from Germany, and father Nanook came from Canada. 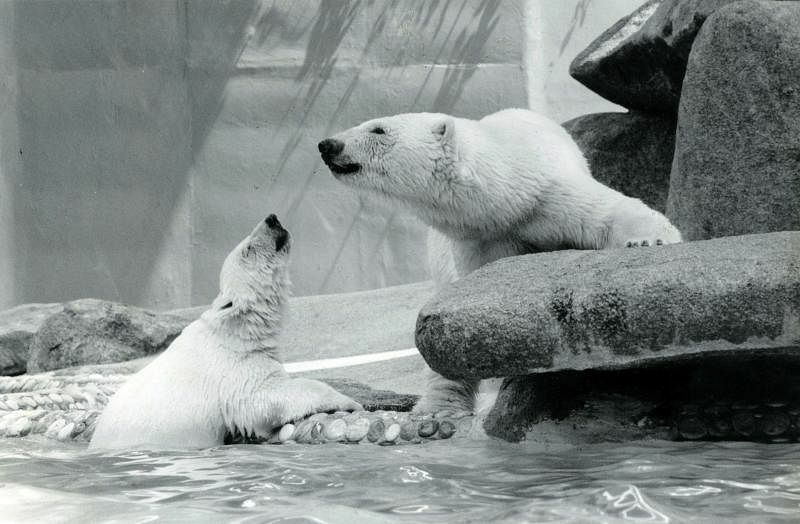 Here, the one-year-old Inuka (left) is no more a baby, tipping the scales at 30kg, compared with a mere 500g when he was born. Inuka is Inuit for "Silent Stalker". The name was chosen through a nationwide naming contest, which received over 10,000 entries. 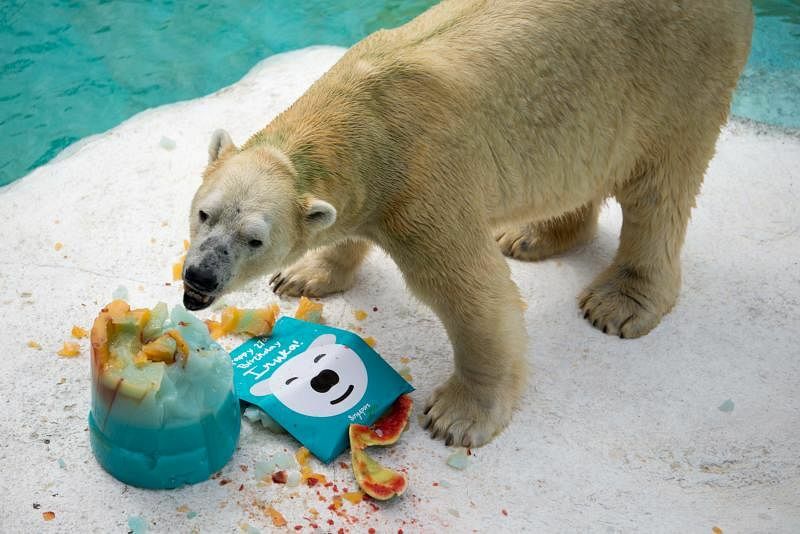 Inuka celebrates his first birthday in the Singapore Zoo with an ice cake. It is clear that the birthday bear could not get enough of the treat, licking the cake board clean after sharing the 1kg cake with his mother on December 26, 1991. 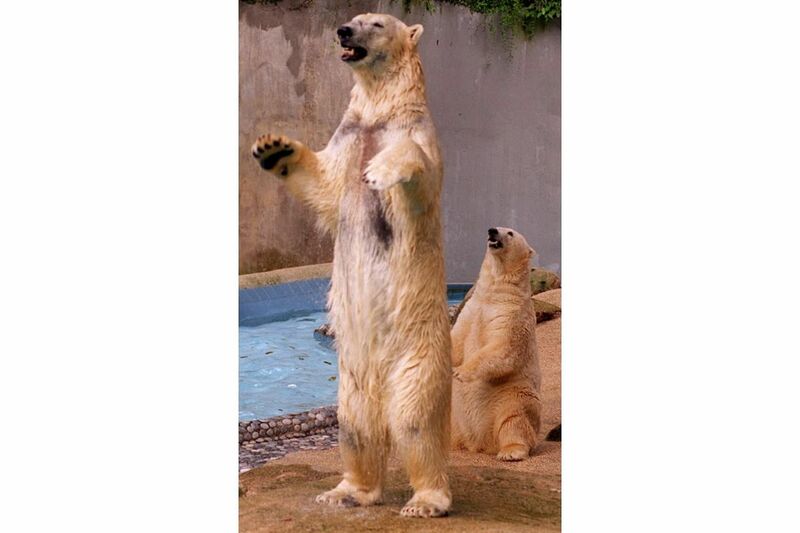 At five years old, Inuka was already towering over his mother, Sheba. Male polar bears may grow more than 3m tall and weigh over 544kg. Inuka weighed 513kg at the end of last year, measuring 2.5m from nose to tail. 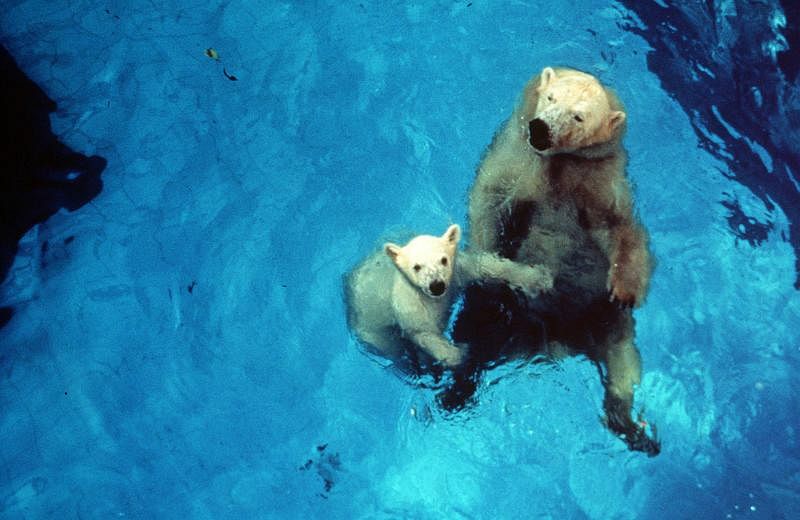 Ten-year-old Inuka enjoying a swim in the pool with mother, Sheba. 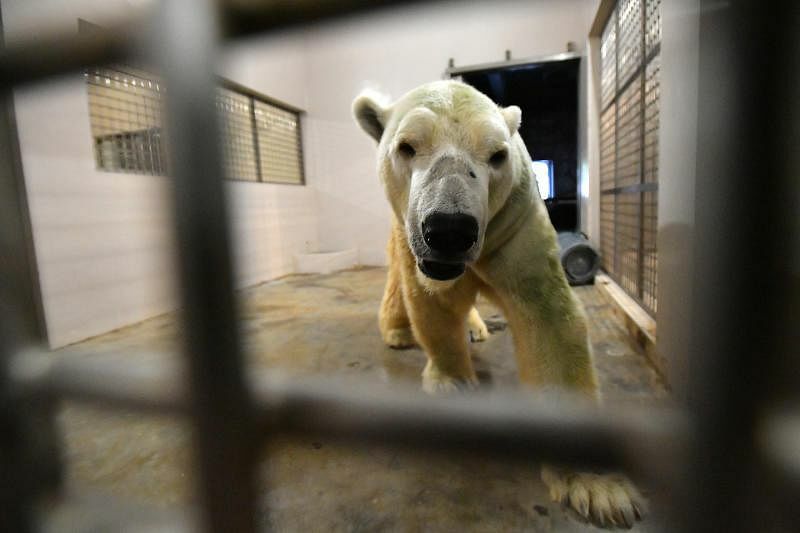 Inuka was moved to a bigger, $8 million enclosure in 2013, which at 2,700 sq feet was four times that of the previous one. 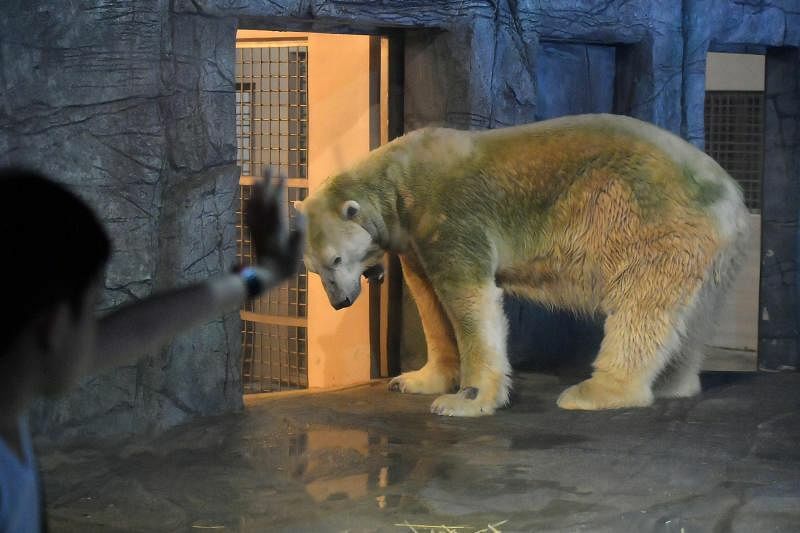 Inuka may well be Singapore's last polar bear, in light of the zoo's announcement in 2006 that it would no longer bring any more polar bears to an equatorial climate. Chowing down on a loaf of its favourite food, next to fish and fruit. Inuka's father Nanook died at the age of 18 on Dec 29, 1995, three days after Inuka turned five. The locally-born bear was raised by mother Sheba, who died in 2012 at the age of 35 - the second-oldest polar bear in the world then. Sheba was preserved by a taxidermist and is now used for education talks for students visiting the zoo. 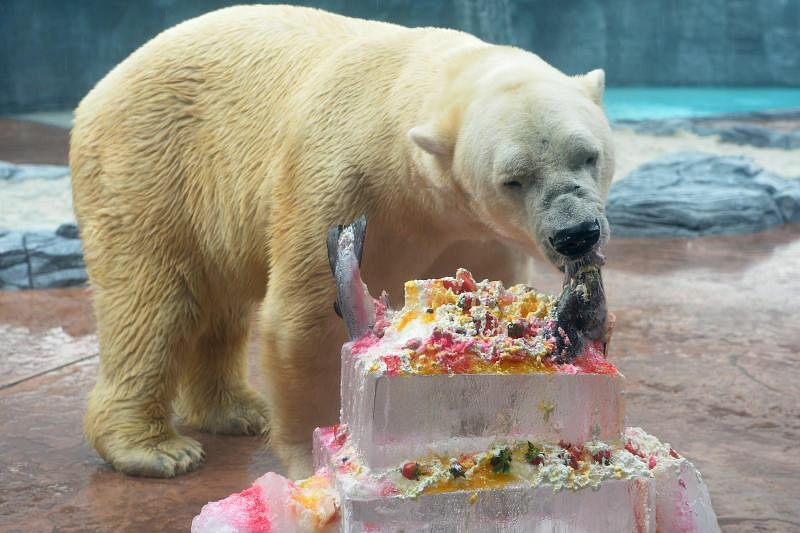 Inuka shows his Singaporean side as he feasts on the huge ice-katchang cake for his 16th birthday. It was packed with the bear's best-loved treats, including salmon, watermelon and berries. 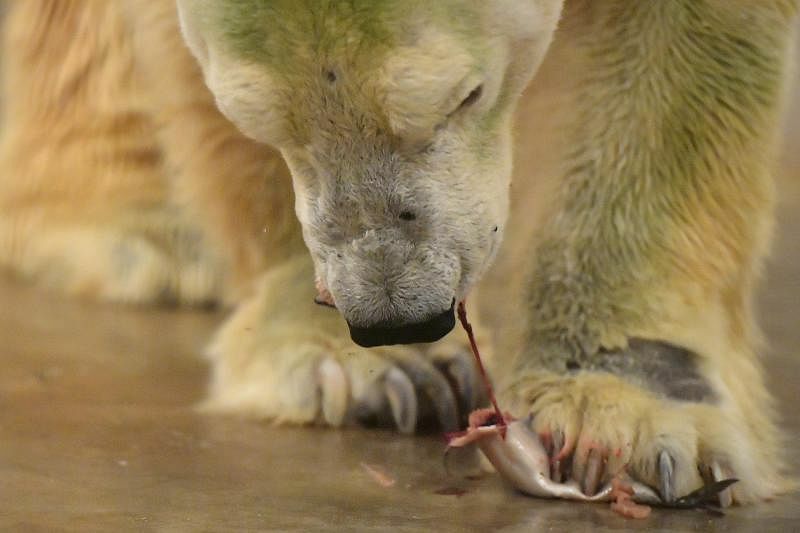 Inuka feasts on an agar-agar birthday cake on his 27th birthday. This is specially designed to be easier on its ageing teeth. Polar bears' fur is not white - it is actually transparent. It just looks white because the hollow core of each hair reflects light, like snow does. 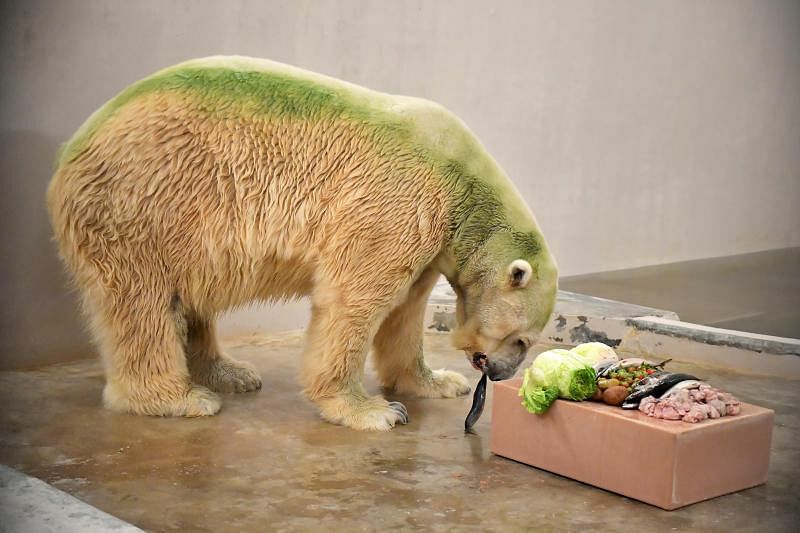 But, as in the case of Inuka, their fur sometimes turned green from algae growth. With arthritis weakening his legs, Inuka now walks with a gait. Here, he is seen lounging in the pool at its enclosure. A typical lifespan of a polar bear in captivity is 25 years, while those in the wild live for 15 - 18 years. At 27, Inuka's age is the equivalent of a person well into his 70s. 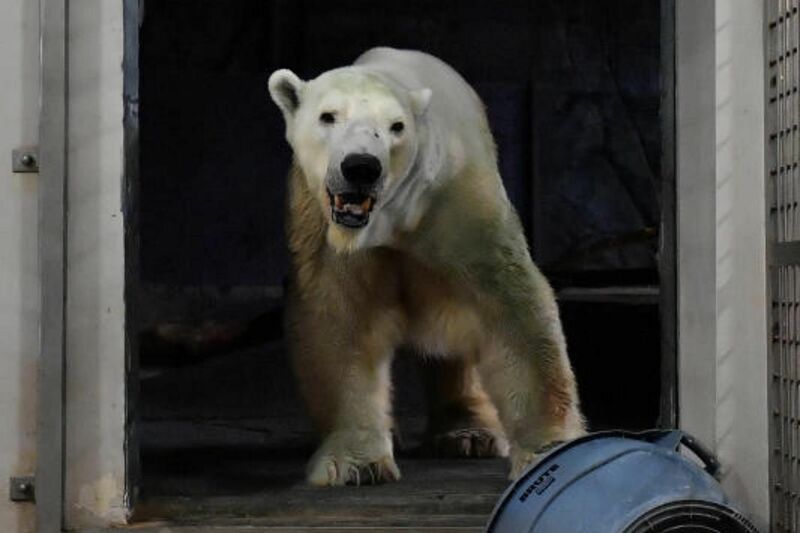 Inuka, who is adopted by SPH Foundation, the charity arm of Singapore Press Holdings, is scheduled to undergo a second health examination in late April. The beloved "sun bear" taking his usual spot in the sun. In the three photos above, Inuka is seen eating in his den at the Singapore Zoo. 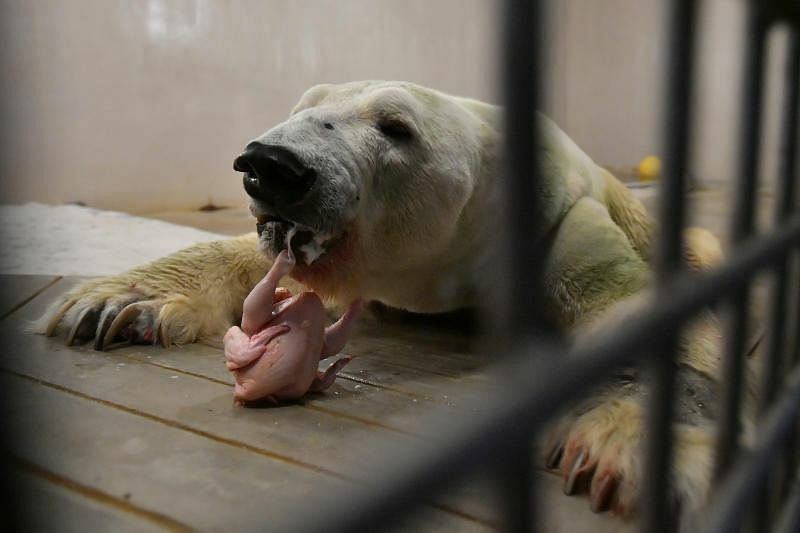 Inuka, despite its declining health, is said to be as sharp and stubborn as ever. Zookeepers often place pills within pieces of meat to ensure that it consumes its medication, but the bear will pretend to chew the meat while secretly removing the pills. The photographs were taken on April 19, 2018. 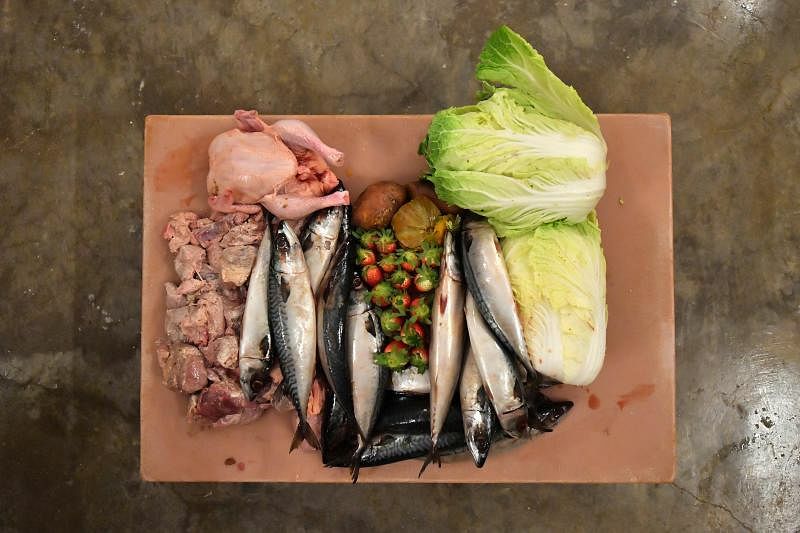 One of Inuka's meals - meat, fish, vegetables and fruit. 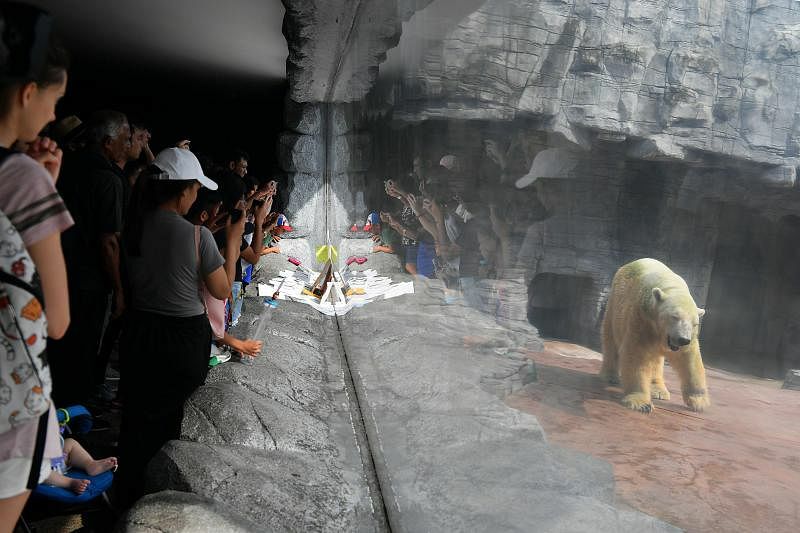 In the two photos above, Inuka is seen moving around his den at the Singapore Zoo. The photographs were taken on April 19, 2018. 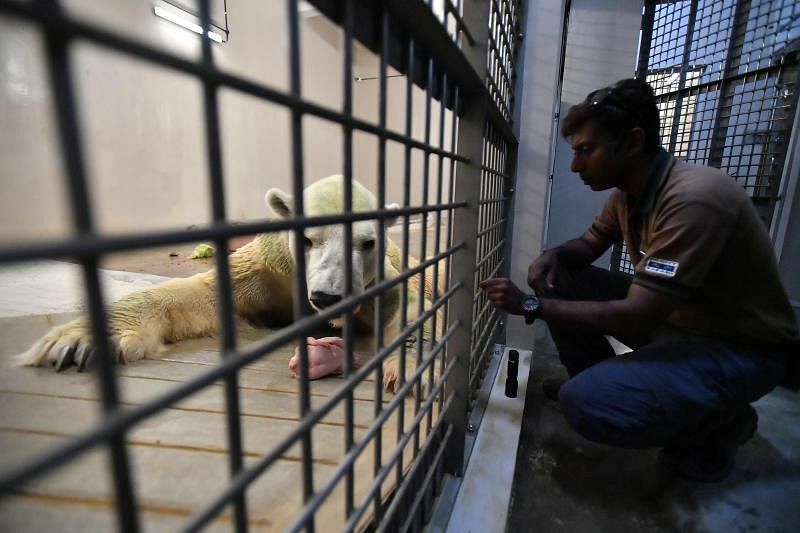 Deputy head keeper Mohan Ponichamy observed Inuka in its den at the Singapore Zoo on April 19, 2018. Since the beginning of the year, the 27-year-old polar bear has been lethargic and inactive, spending most of its days prone and unmoving, and has been on a constant cocktail of painkillers. 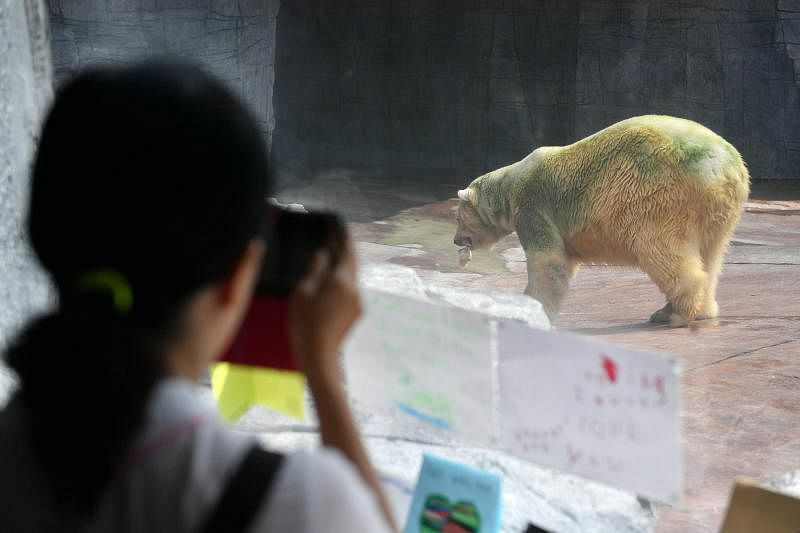 In the three photos above, Inuka's fans are seen watching the polar bear, and posting get-well cards and notes outside its enclosure in the zoo. The photographs were taken on April 19, 2018.